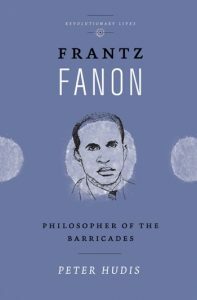 Peter Hudis on the contemporary relevance of his 2015 book, Frantz Fanon: Philosopher of the Barricades, for intersectional discussions of race and class. Originally appeared on Pluto Press blog, Oct…. Peter Hudis on the contemporary relevance of his 2015 book, Frantz Fanon: Philosopher of the Barricades, for intersectional discussions of race and class. Originally appeared on Pluto Press blog, Oct. 7, 2015 – Editors. Interview with Peter Hudis on his Marx’s Concept of the Alternative to Capitalism and on his work on Rosa Luxemburg. This article was first published in The Ritual, Issue 0 – Editors.